There’s been plenty of advancements in CGI, but, unless you’re Luc Besson—Valerian And The City Of A Thousand Planets is underrated!—all that digital trickery will eventually guide audiences into the uncanny valley. As such, there’s no shortage of film buffs who, sometimes very loudly, yearn for the days of puppets and practical effects. 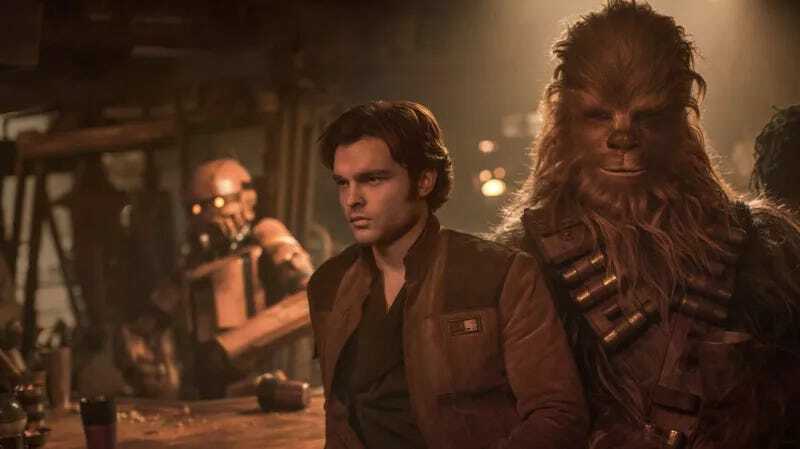 Well, that’s what Solo: A Star Wars Story gave us, whether we realized it or not. A new Thrillist interview with Solo visual effects supervisor Rob Bredow delves into how committed the production was to honoring the Star Wars flicks of yore by using CGI to accent, not create, a few of its key robots and creatures. Phoebe Waller-Bridge, for example, did much more than just provide the voice for feminist droid L3-37 (a.k.a. the Millennium Falcon). On set, she interacted with the performers while donning the creature’s bulky exterior and a green-screen stocking. Contrast this with Rogue One’s K2-S0, a fully CG creation voiced by Alan Tudyk. Bredow also touches on the hybrid of practical and CGI effects that helped create multi-armed pilot Rio Durant and, believe it or not, the literal worm that is Lady Proxima. Read it in full here.